Here’s a quick update regarding our upcoming playable pre-Alpha build. We’ve added a functional tutorial to teach players the fundamentals of SRC, and are in the middle of building a mini-encounter vertical slice! Screens and details below. So far all of our maps are built for the Campaign Mode, and usually are pretty short with only a few mechanics to master. This demo map represents our effort to insert a vertical slice of most of the game systems in one encounter. So we’ll be adding Engineer usage points (doors to break down, bridges to build), definitely multiple lanes and flanking routes, archers, resources, and extra attention to the environment. The critical path is in place — at this point we are doing bug fixing, environment set dressing, and balancing on the map. The idea for this Pre-Alpha demo is that the players will get an abridged look at the Campaign Map, where we’ll give them a few resources to buy and upgrade units as they wish, before committing to enter the above Demo Map. So we’ll be giving players a bit of choice that’s a sliver of the grander scale we’ve designed. Like most strategy games, SRC needs a bit of instruction before diving right in. 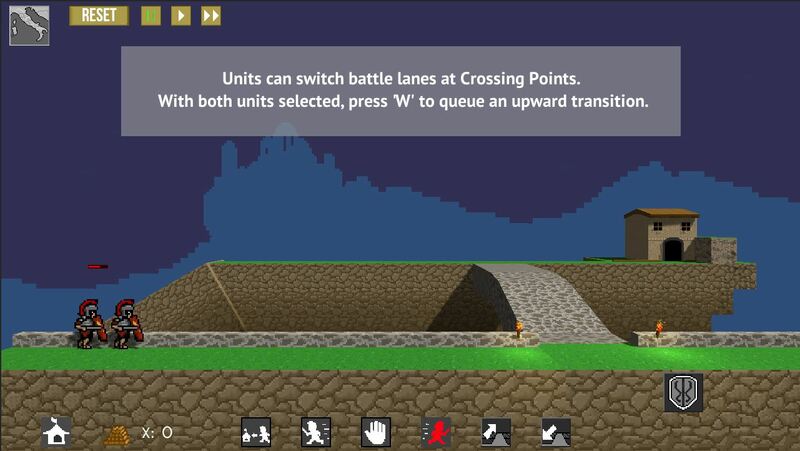 We’re doing some simple trigger volumes that show relevant text as you progress through the Tutorial level, teaching the basics of movement, combat, multiple unit management, and using the Crossing Points to transition deeper into the background. Only a few more parts to put in place before we’re ready to publish this bad boy. As always, your support and attention is appreciated! Drop by our Kickstarter and take a look! 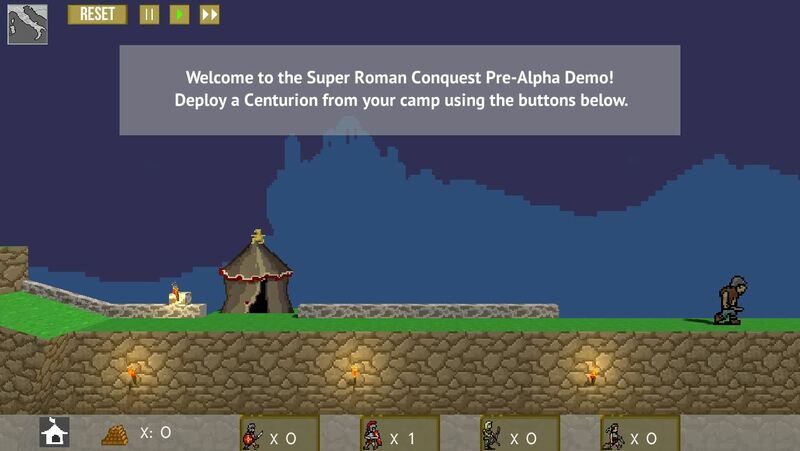 Hey there and welcome to the first post on the official Super Roman Conquest website. 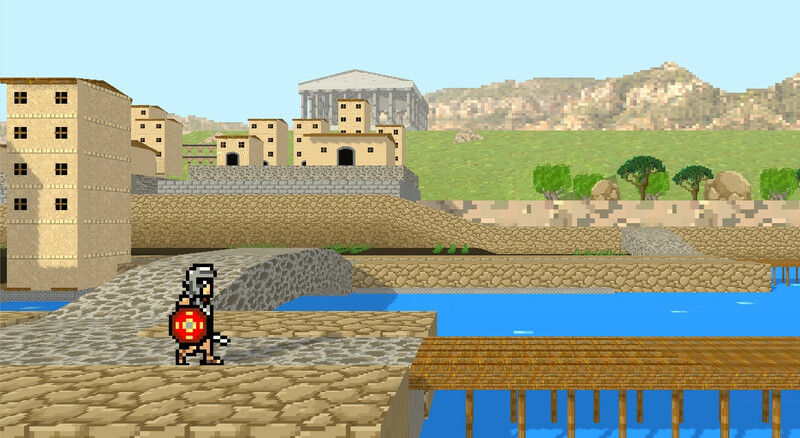 For those of you who don’t know or stumbled onto this site by mistake, Super Roman Conquest is a indie side scrolling video game set in ancient Rome. It’s being developed by SeaCliff Interactive, a small studio founded by two industry veterans with a passion for indie games. We’ll have a ton of stuff to show and tell you about in the next couple of weeks so I’ll save most of the explaining for then but I just wanted to take this opportunity to thank you for coming to the site and to ask you to please stay tuned for exciting updates in the future.